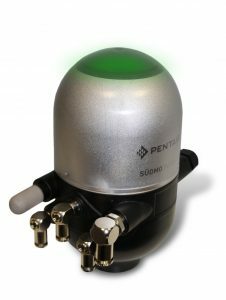 IntelliTop - R-Cap Process Equipment, Inc.
Pentair Südmo’s innovation in intelligent communication is designed specifically to increase plant efficiency by controlling, monitoring and reporting on all valve functions in the process plant. The system is designed to monitor plant functions to quickly identify the problem with a component or communication hardware or software. This results in a faster response and virtually eliminates downtime for the process systems. A visual feedback with a LED multi-colored light (red, amber, green) on the control top is visible within the process room for operators to understand valve position and potential issues. Ease of access to valve maintenance allows for regular valve reviews. The stainless steel cover protects internal elements and eliminates damage that can occur during installation and regular plant maintenance. The double seal insures that internal components are protected from the elements.